Can I search for hotels by wine region or by price? What is the difference between Double Room and Twin Room? Can I request an extra bed for my room? What are the hotels check-in and check-out times? Can I check-in and/or check-out any another time than the one indicated by the hotel? How do I know if the hotel allows pets? How do I know what are the amenities of a hotel? What do the terms "Free Cancellation" and "Non-Refundable" mean? How do I know the maximum capacity of a particular room? 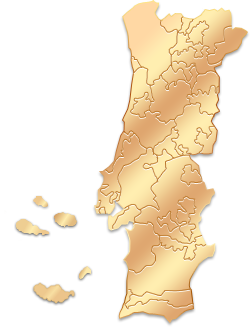 2. click on "Hotels" tab on the home page and then select the map of Portugal either on the left side or on the top of the page to narrow your search by selecting the desired region. In both cases, a list of all the hotels in that region will be shown on the screen and you can then use the filter "Price" to sort hotels by price "Ascendant" or "Descendant". A Double Room has a double bed and a Twin Room has 2 single beds. If a room is Double/Twin, then it can have either one of the two types of beds. You should specify in the "Special Request" tab, at the time of booking, your preference concerning the type of bed. You will find information concerning additional charges and extra beds/cradles in the "Hotel Conditions" tab. You should read and check carefully all the terms and both general and specific conditions of each service. Furthermore we inform that: additional charges for children and adults, if applicable, are not included in the booking price. In case you have already booked your room, you can at any time request and extra bed/cradle by filling the form "Change Booking" available in your reserved area "Manage my Bookings". We advise you to contact the hotel prior to your arrival to ensure whether your request has been accepted. You will find information about the hotel on the email with the details of your booking. Check-in and check-out times are different for each hotel. You can find all schedules in the table "Conditions" on the "General Description" tab on each hotel page. Early check-insand late check-outs should be arranged with the hotel in advance. Both depend on the availability of the partner. You should contact the hotel and request a different schedule.You will find the hotel contacts in the email with the details of your booking. You can view the information concerning the conditions for pets in the table "Conditions" on the "General Description" tab on each hotel page. You can view the information concerning the amenities in the table "Services" on the "General Description" tab on each hotel page. The conditions "Free Cancellation" means that you can change or cancel your booking free of charge in the period set by the hotel and for that particular room. Read and check carefully all terms and conditions at time of booking. The condition "Non-Refundable" means that the hotel will charge you a fee in case you decide to change or cancel your booking. This fee is also mentioned on the specific conditions of each room. You can find information concerning the maximum capacity of each room during your search. On the specific page of each hotel, on the "Bookings" tab, you can view all the available rooms and the information concerning the hotel description, services, terms and conditions, maximum capacity and prices.